Mott The Hoople were one of the great bands of the 1970s. Whilst principally known for their mega hits ‘All The Young Dudes’, ‘Roll Away The Stone’ and ‘All The Way From Memphis’, the Mott story started a few years earlier. Between 1969 and 1971, the band recorded four albums for Island Records of a far more experimental nature. 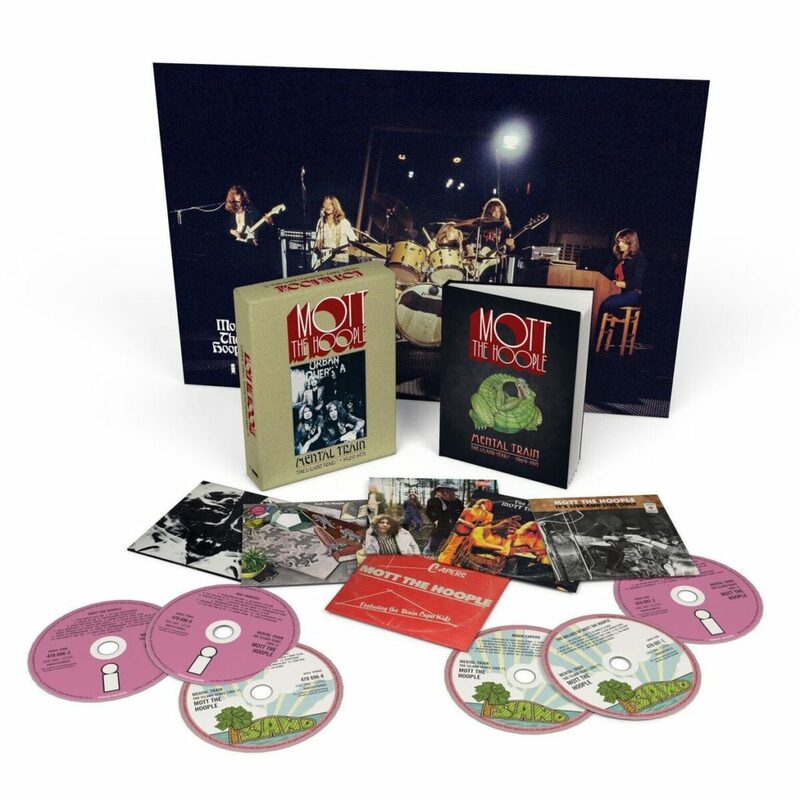 Those albums and various associated extras have been compiled on a lavish six disc box set entitled ‘Mental Train: The Island Years 1969-1971. A very comprehensive set, there’s never been a better way to experience a run of often overlooked albums. A full press release can be read below. A review of Ian Hunter’s ‘Fingers Crossed’ can be found here.